This is an introduction into the 2nd Grade Math Course. This video goes into detail on what the student will learn, tools that will be used, and the benefit of these lessons. Students will be able to identify the standard form, word form, and count forwards and backwards numbers 1-20. This is a review video that show how to complete the practice for numbers 1-20. Students will identify numbers 20-100. They will also identify the standard form, word form, skip count, and count forwards and backwards numbers 1-20. This is a review video that show how to complete the practice for numbers 20-100. Students will understand and use addition to solve double-digit equations. This is a review video that show how to complete the practice for double-digit addition. Students will understand and use subtraction to solve double digit equations. This is a review video that show how to complete the practice for double-digit subtraction. Students will be able to read, identify whether the question is asking for addition or subtraction, and solve the equation. This is a review video that show how to complete the practice for additional addition and subtraction practice. This is a review lesson over even and odd numbers and how to recognize them. We will also go further with it and use our double-digit addition and subtraction. This is a review video for the even and odd practice. This is a comprehensive test over unit 1. Please use the test document that I have provided. Once your child has completed the paper test, please input their answers into this test. Some of the answer choices will be correct or incorrect. The first two unit tests are more over your child's abillty to count in order, add, subtract, and identify types of numbers. Students will develop an understanding of temperature and time. They will be able to read a thermometer and clock. They will use this information to compare temperatures and time, and tell the difference. When given thermometers with two different temperatures, students will be able to find the difference between them and determine which one is warmer or cooler. When given a start and end time for an event, students will be able to calculate how much time has passed. This is a review video that show how to complete the practice for Time and Temperature. Students will learn how to measure an object using a ruler. They will also learn the different types of standard measurements. This is a review video that show how to complete the practice for length. Students will learn how to calculate the perimeter and area of objects and shapes. They will understand that perimeter is the distance around the shape, and area is the space within the shape. This is a review video that show how to complete the practice for perimeter and area. Students will review what they have learned about Money. They will also begin to learn how to count money, spending, and saving. This is a review video that show how to complete the practice for counting money. Students begin to learn how to add and subtract money. They learn this while learning about earning money, and spending money. This is a review video that show how to complete the practice for money math. This is a comprehensive test over unit 2. Please use the test document that I have provided. Once your child has completed the paper test, please input their answers into this test. Some of the answer choices will be correct or incorrect. Look at your child's test and if they got the answer correct, then select correct. If not, then choose incorrect. This will help the system to grade the test for you. Students will review what they know about 2D shapes. They will also begin to learn about irregular 2D shapes. This review helps build the background knowledge needed to learn about polygons. This is a review video that show how to complete the practice for 2D shapes. Students will use what they know about 2D shapes and apply it to their understanding of polygons. They will begin to understand and use their knowledge of regular and irregular shapes. This is a review video that show how to complete the practice for identifying the differences between regular and irregular 2D shapes. Students will apply their knowledge of 2D shapes to this lesson. They will learn that some shapes are equally divided. This is called symmetry. This is a review video that show how to complete the practice for symmetry. Students will review what they know about 3D shapes and use it understand the attributes of 3 Dimensional shapes better. This is a review video that show how to complete the practice for 3D Figures. Students will use their number sense to learn about multiplication. They will begin to understand and use the information that counting items in groups will help them find the product faster. This is a review video that show how to complete the practice for multiplication. In this lesson, they will read the word problems, identify key words and amounts, and solve the equation. This is a lesson over using arrays in multiplication. They are visuals that not only help to solve a multiplication problem, but also help to prove your answer. This is a review over the array multiplication practice. It shows how to use arrays to solve mutliplication problems. It is also a good base for future lessons over area. Students will use their number sense to learn about division. They will begin to understand that dividing items into groups of certain amounts will help them solve the equation faster. This is a review video that show how to complete the practice for division. This is a comprehensive test over unit 3. Please use the test document that I have provided. Once your child has completed the paper test, please input their answers into this test. Some of the answer choices will be correct or incorrect. Look at your child's test and if they got the answer correct, then select correct. If not, then choose incorrect. This will help the system to grade the test for you. Students will begin to learn that objects and shapes can be divided into equal parts. They will learn how to identify the fraction for the shaded parts of the objects. This is a review video that show how to complete the practice for fractions practice. They will also be able to identify, label, and create their own fractions and picture representations. Students will review what they learned in First Grade about Capacity. They will also learn the types of liquid amounts such as ounces, cups, pints, quarts, and gallons. This is a review video that show how to complete the practice for capacity. Students will understand and use different units of measurement to determine the weight of objects. They will also be able to compare using the weight measurements. This is a review video that show how to complete the practice for mass. Students will review what they know about patterns. They will also begin to see how patterns are not just pictures or colors, but can also be numbers as well. This is a review video that show how to complete the practice for patterns. Students will review what they know about patterns. They will also begin to see how patterns are not just pictures or colors, but can also be numbers as well. They can be more than skip patterns. A pattern can also show multiples of a number. This is a review video that show how to complete the practice for number patterns. Students will understand and use graphs to organize data. They will then use the graph to interpret the data. This is a review video that show how to complete the practice for organizing data. Students will be able to understand and use the symbols on a pictograph to interpret data and answer questions. This is a review video that show how to complete the practice for pictographs. Students will be able to understand and use the bars on the graph to interpret the data and answer questions. This is a review video that show how to complete the practice for bar graphs. Students will use their knowledge of multiplication, division, and fractions to understand and use probability. They will understand that there are many possible outcomes for something and how to calculate it. This is a review video that show how to complete the practice for probability. This is a comprehensive test over unit 4. Please use the test document that I have provided. Once your child has completed the paper test, please input their answers into this test. Some of the answer choices will be correct or incorrect. Look at your child's test and if they got the answer correct, then select correct. If not, then choose incorrect. This will help the system to grade the test for you. This “2nd Grade Math” video course covers all of the content that students need to be successful in completing 2nd Grade Math. The course focuses on building the students’ understanding and growth of number sense based on the foundation from 1st Grade Math. It covers the required math standards, but also goes below the surface so that students can understand what they’re being taught. This is a full year of 2nd Grade Math. 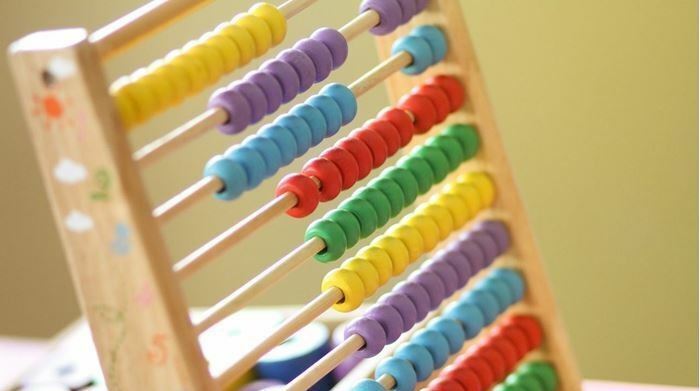 Once this course is completed, students will be able to recognize numbers 1-100, be able to add and subtract double digit numbers, multiply and divide, identify and complete patterns, and determine types of shapes. They will also be able to determine parts of a whole to identify fractions, organize data, bar graphs and pictographs. This video-course is primarily for 2nd Grade Students. Students taking this course will need to have completed 1st Grade to take this course. Interests: I enjoy spending time with my husband and son. I also love reading, working with children at our church, and volunteering in our community. Skills: I am very knowledgeable in words their way word study, early elementary mathematics, and writing skills. Issues I care about: I care about all students getting an equal education, and through that, learning at their own pace. This way they can master knowledge with one skill before moving on to the next. I have been an elementary school teacher for over 8 years. I have taught all subjects in many different grade levels. Teaching and working with children is a passion of mine. Seeing the joy in a child's eyes when they understand something for the first time brings me happiness. I have a Master's of Education in Curriculum from Texas A&M University. I hope that through my courses your child will be able to learn, grow, and excel while having a joyful and positive learning experience. In addition to my education and experience, I have been married for ten years to my college sweetheart and we have a three year old son.